It's the little changes that make World of Warcraft the game that it is. Each patch brings smaller and less covered additions--Patch 4.1 is no different. Read on to find out what changes were added in this new experience. There will be a new animation for your character when they open a map! When opening the map or a mailbox, your character will perform an animation that resembles the action you are doing. For example, your avatar will pull out a map and scan through it. Closing the pane makes the character roll up the map. This feature was recently removed from the 4.1 PTR but appeared on the 4.2 PTR. Here's hoping! In this patch, companion pets will stick around a lot longer than they used to. It used to be that you had to resummon your pet after walking through a portal, dying, and logging in. This appears to be no longer the case in Patch 4.1. As we noticed on the PTR, our pets that we previously summoned await us whenever we logged in or resurrected from death. Several rare spawns have received loot upgrades, dropping epics instead of blues. Poseidus, just like in beta, drops a BoE epic mount again—Reins of Poseidus! Belt of a Thousand Gaping Mouths drops from Akma'hat (formerly Belt of a Thousand Mouths). Garr's Reinforced Girdle of Memories drops from Garr (formerly Garr's Girdle of Memories). Mobus's Dripping Halberd drops from Mobus (formerly Mobus's Vile Halberd). Xariona's Spectral Gauntlets drops from Xariona (formerly Xariona's Spectral Claws). Vitreous Beak of Julak-Doom drops from Julak-Doom (formerly Beak of Julak-Doom). Bind to Battle.net Account Heirloom Items Coming in 4.1? Blizzard has finally made all Heirloom quality items Bind to Battle.net Account. This means that can be traded or mailed to characters that are on different World of Warcraft accounts under the same Battle.net account. The Reins of the Winterspring Frostsaber reputation grind has received a complete overhaul in this patch to be more akin to the Horde version (Toxic Tolerance). Alliance players will no longer be required to perform a tedious reputation grind, but will instead raise their own kitten to an adult! For a complete guide, click here. Does the thought of heading back to Dalaran for anything make you groan? In the patch, <Toys and Novelties> vendors Craggle Wobbletop and Blax Bottlerocket wander the streets of Stormwind and Orgrimmar. They sell the same wares as Jepetto Joybuzz in Dalaran, including the infamous Toy Train Set. Patch 4.1 - Build 13850 - New Items, Icons, and Updated Map! Old Ironforge—a previously inaccessible area of Ironforge—is open in Patch 4.1. Players will be able to finally glimpse the underground of the area and visit King Magni Bronzebeard's remains, as a petrified statue. The entrance can be found near the throne room. A new locale was discovered on the PTR. A resort town that's located near the Steam Pools in Feralas, it's run by goblins and serves as a vacation zone. Nothing much is known about the town and how it is related to Patch 4.1. According to rumors, it might serve as a hub for daily quests. The years of erring through the great maze of Wailing Caverns at insanely slow speed are finally over. 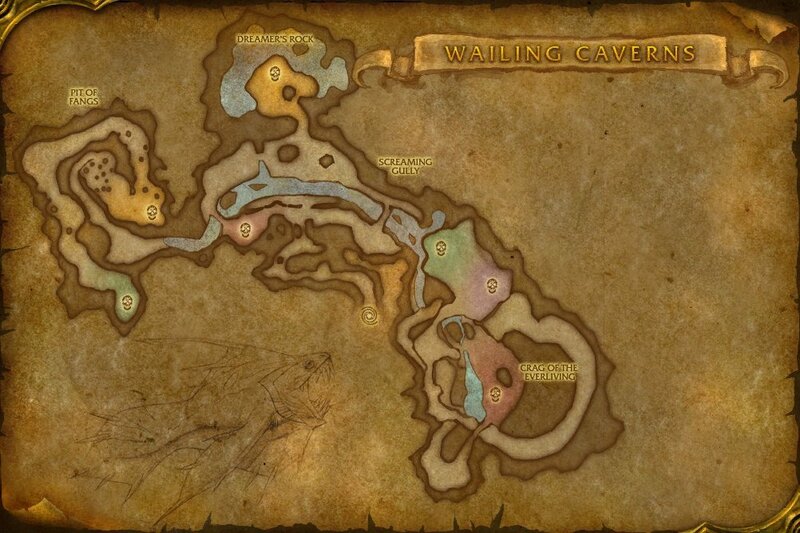 Blizzard decided to do us a favor and streamlined the dungeon, relocating some bosses and removing the very irritating tunnels in the eastern part of the cave. Check out the maps below for comparison!